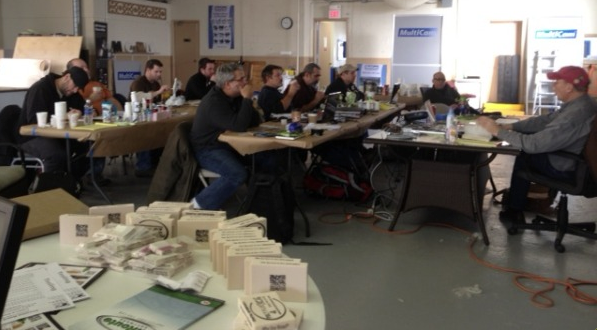 Earlier this month a group of signmakers, craftsmen, artists and manufacturers got together for a 3-day Sign Magic/MultiCam East workshop in Hackensack, NJ. 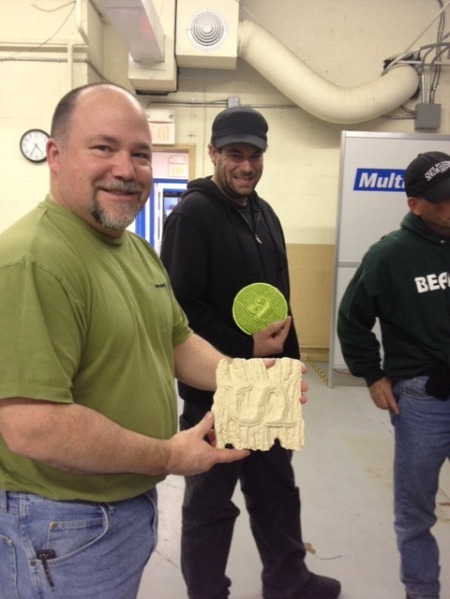 Hosted by MultiCam East and featuring dimensional sign artisan Dan Sawatzky, they learned sign-making, and texturing techniques during the 3-day course. Also on board demonstrating techniques and tips were EJ Nodurft from Software and Kellie Miller from Coastal Enterprises. 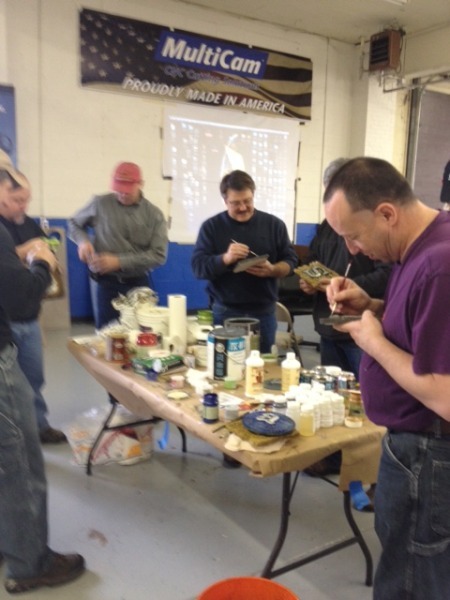 One of the coolest benefits of the Sign Magic workshop was just how hands on it was. Being close to so many talented people really allowed for an interactive, personalized learning environment. Each attendee was provided with Precision Board Plus PBLT-30 and was able to work on a personal project throughout the course. 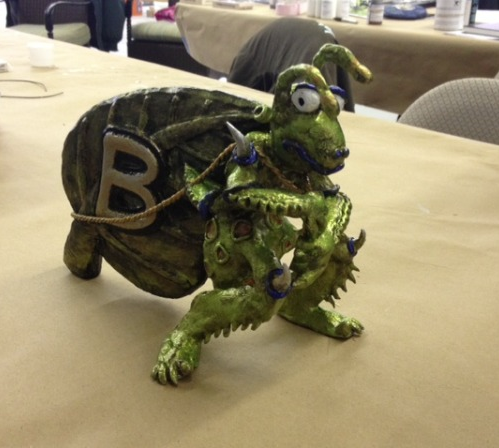 Some of the techniques taught by Dan included staining, glazing and texturing with numerous products including Magic Sculpt, which is a 2-part modeling and sculpting material. 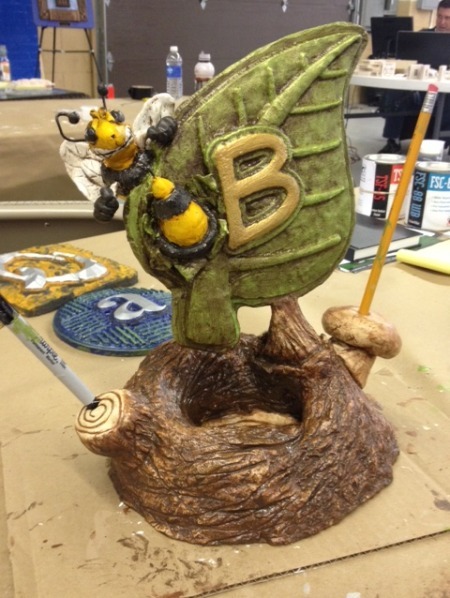 Kellie Miller provided hands-on tips and training on priming, texturing and bonding with the Coastal Enterprises line of companion products which include FSC-88WB Primer/Filler, FSC-360WB Putty, PB Bond-240, PB Fast Set, PB Hardcoat, TSF-45 and PB Resin. 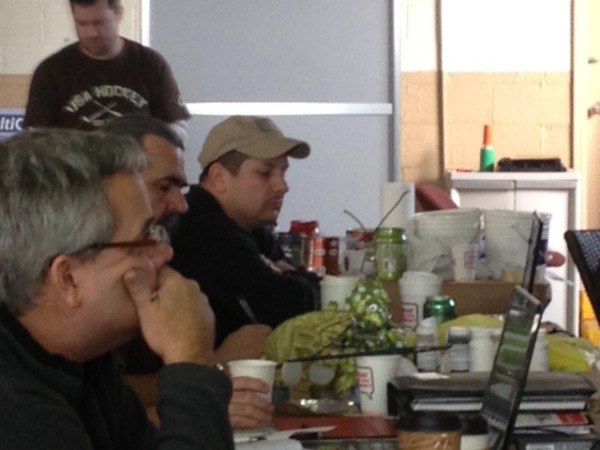 Ej Nodurft from EnRoute Software discussed and trained on the advanced features of EnRoute 5. Wray Bassett of Graphic ID Studios and Josh Dobson of Steel Art Co. having fun and showing the beginning process on one of their PBLT-30 projects. In a nutshell, it was 3 days of some serious texturing, EnRoute and sign-making techniques. Close working proximity provided ample opportunity for networking and idea sharing. Strangers left as friends, and a good time was had by all! Designed by Brian Hamilton of KDF.